I found a gaggle of DEVOtional spuds outside the gallery during the reception! 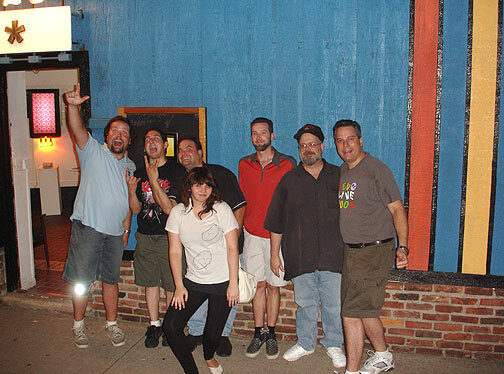 L to R: Tom, Dave, Pete-vo, Emerald, AbNorm, Dave, and Fred. Thanks for traveling to Ohio!